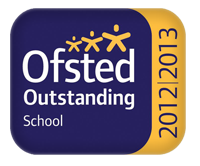 The school’s last Ofsted inspection was carried out in May 2013 and was judged to be OUTSTANDING. The Sydney Russell School is an above-average sized secondary school. The majority of students are White British. The proportion from minority ethnic groups and those who speak English as an additional language is above average. The proportion of disabled students and those who have special educational needs who are supported through school action and at school action plus or who have a statement of special educational needs is above average. The proportion of students known to be eligible for the pupil premium is above average. In this school the pupil premium provides additional funding for children in local authority care and those known to be eligible for free school meals. The school uses the off-site alternative providers, the Erkenwald Centre and the Flexi-learning Team. The school is part of a sixth form consortium, The Southern Consortium. The school has specially resourced provision for students with autism, known as the additional resourced provision, attended by seven students. The school meets the government’s floor standards, which set the minimum expectations for attainment and progress. The school has recently undergone extensive rebuilding. If you would like a hard copy of our latest Ofsted Report, please use our Contact Form to get in touch with us.